at achieving the goal of moving the sled. Huskies LOVE to pull sleds! You’ve probably seen video of these gorgeous fluffy dogs leaping into the air with the sheer joy and desire to run with the pack and pull the sled in whatever direction the driver wants. They just love to go. Especially with their pack. If one of the pack members falls behind, they urge that dog forward and help make up for the lost effort. 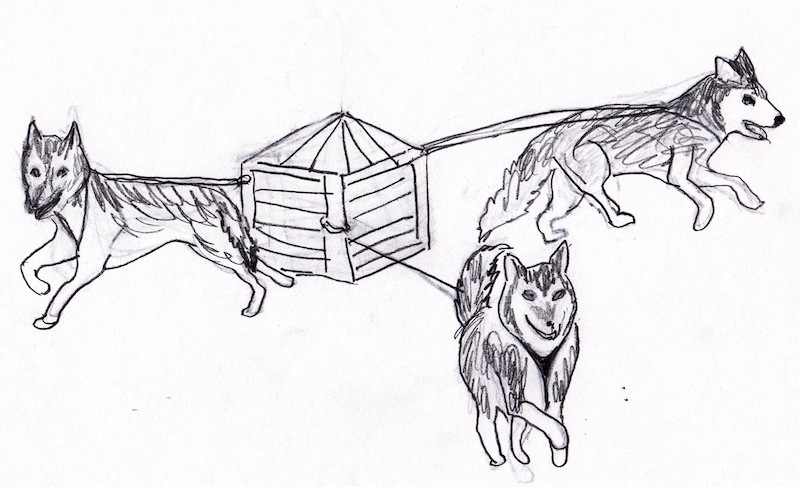 What would happen if the team of huskies were tethered to a sled, but were pulling in different directions? As depicted in the drawing above (full disclosure: the artist, Rachel Winter is my 12-year-old daughter and she was compensated for her work:), the sled wouldn’t go anywhere. It would simply get pulled simultaneously in many directions, maybe moving a few inches one way or the other. Each dog may be pulling with 100% of their energy, but they would be exerting that energy in different and opposing directions, so the sled wouldn’t move. Monumental waste of energy! Probably makes for frustrated huskies too. Compare this image to one of a team of huskies pulling a sled in the same direction, with the same amount of energy. The sled would zoom! 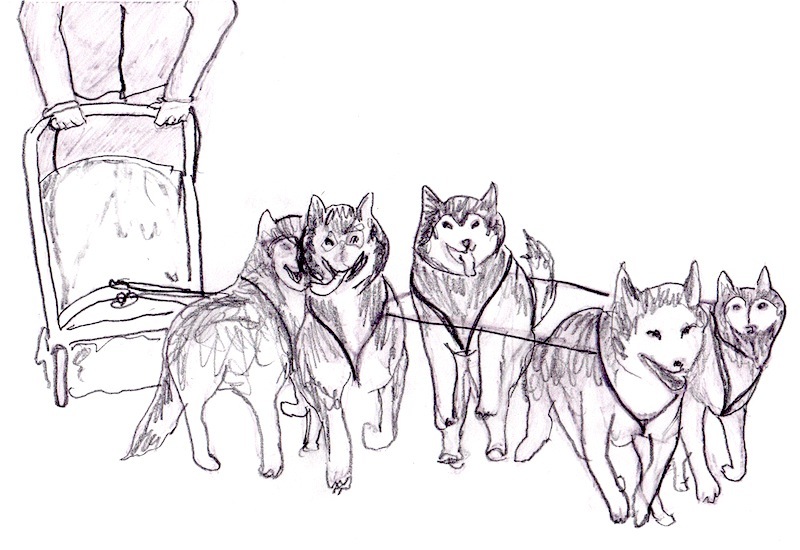 You don’t need to be a physicist to understand that energy exerted by several dogs in the same direction is far more effective at moving the sled than the same number of huskies exerting the same amount of energy, but in opposite directions. So, how are dog sledding and content messaging alike? A coordinated and unified effort is more successful than an uncoordinated and disjointed effort. A group of content messages that are part of an integrated marketing strategy work together to communicate much more effectively than a combination of different and inconsistent messages.